If taking to the skies excites you, there’s no better way to indulge yourself than by learning how to pilot a helicopter. 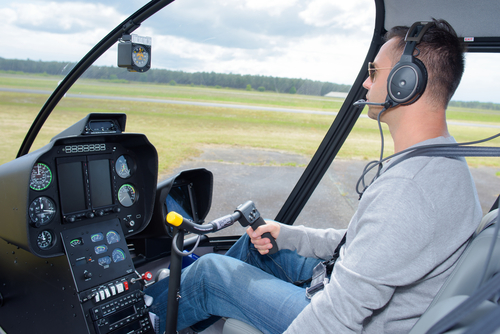 Flying Helicopters Made Easy in Farmingdale, NY, knows how rewarding learning to fly can be, which is why they offer helicopter lessons, tours, and training to anyone who’s interested. Traffic Helicopter Pilot: Are you the type of person who loves flipping to the traffic updates during the morning rush hour? That could be your job if you obtain a pilot’s license: many helicopter pilots find employment with radio and news agencies, reporting from the air. Tour Guide: There’s nothing quite like seeing a city from the air. If you love telling people about the area in which you live, becoming a helicopter pilot could jump-start your career as a tour guide. Flight Instructor: Many entry-level pilots begin their careers as flight instructors, teaching others how to fly properly while simultaneously building flight time. If you have a love for teaching others, becoming an instructor may be the perfect career for you. Utility Pilot: Being a utility pilot encompasses a number of tasks, including transporting goods, moving heavy equipment, construction surveying, and more. It’s a great way to gain experience performing a wide variety of tasks with a helicopter. Forestry & Fire Fighting: If you’re passionate about protecting National Forests, becoming a helicopter pilot may help you make a difference. You can help locate missing hikers, prevent the spread of forest fires, and help make your country a better place to live. To learn more about the lucrative careers available to helicopter pilots, contact the professionals from Flying Helicopters Made Easy today at (855) 359-6969. They also offer extensive tours and aerial photography lessons—visit them online for a complete list of services.